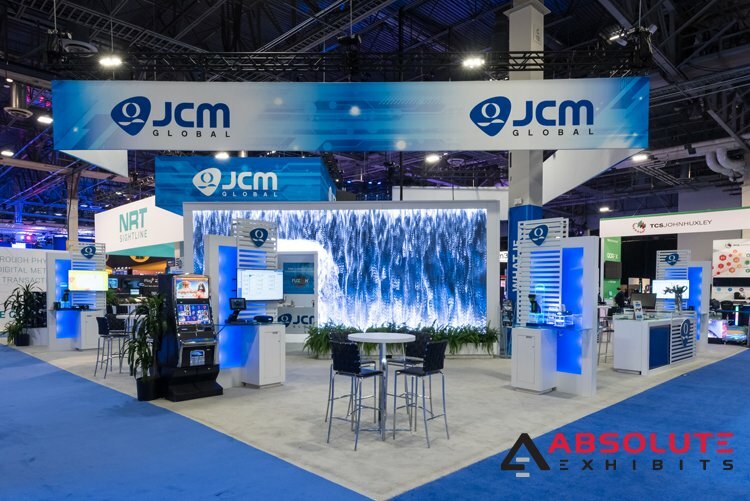 Make a Big Impact with Your Trade Show Display | Absolute Exhibits, Inc.
Video walls are increasingly being used at trade shows for a variety of things- from playing commercials to literally transforming the texture of the exhibitor’s trade show display. By using a video wall to change the texture, this lends a sense of fun and wonderment to the trade show display and captures people’s curiosity. A video wall used in this manner can simulate some of the expensive methods of engagement that larger competitors spend exorbitant budgets to produce. Our eyes can’t resist turning towards objects in motion. 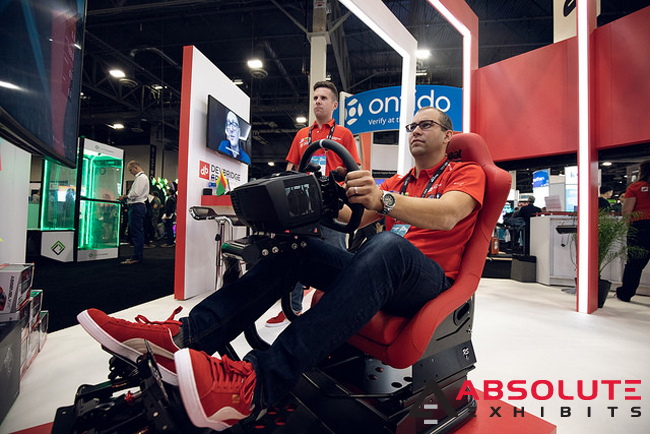 This is why motion is so big on the trade show floor. When exhibitors introduce elements in motion, people naturally gravitate towards that trade show display. However, if this object in motion is central to the trade show display itself, it draws people closer to find out how they did that. This could be props on each corner of the trade show display, or a big spinning piece of the display in the middle or even an unexpected motion around the display. There really is no wrong answer to drawing people’s eyes to a trade show display using the principles of motion. Make it interesting so people want to wander over and check out your display. There are a lot of boring booths on the trade show floor. Out of hundreds, if not thousands, the odds are you really only remember a handful as being impressive. Part of this reason is probably because the trade show display felt fun. Whether that was an expressive use of color, a whimsical immersive experience happening at the trade show display, or by using gamification, people remember fun displays. They walk away from the display saying wow, that was cool. And the odds are that they’re more apt to go back to the business card you gave them and think further about your products, goods, or services. When you make your trade show display fun, it becomes memorable instead of fading off into obscurity. As we mentioned previously, one of the most important design elements is light. Light can be used to enhance people’s moods, making them feel playful or relaxed, or to strategically highlight products in your trade show display. 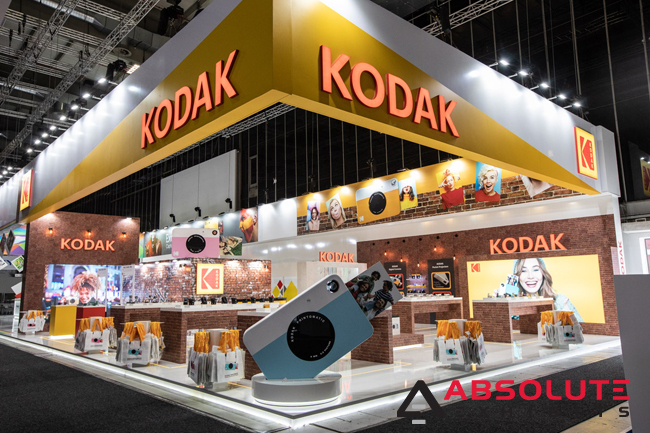 The way in which an exhibitor uses light can be very attractive to people from across the trade show floor or it can create a mood or environment within your display. Creative looking lights and unexpected pops of light can really define a creative display and stand out from the sea of boring same old same old displays. 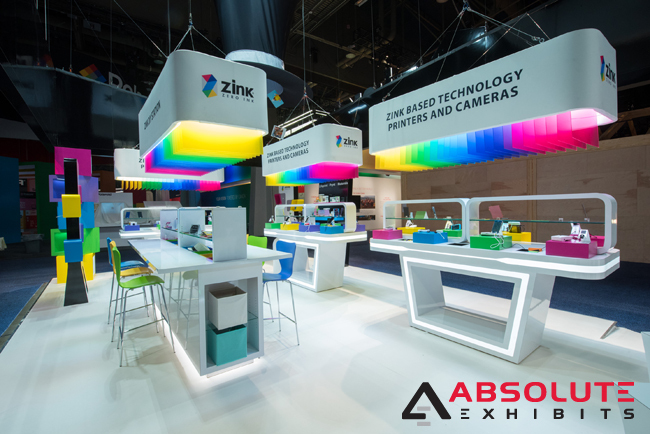 Whether your display is a 10×20, a 20×20, or a 110×60, using these design principles can make a display stand out on the trade show floor. The more you stand out on the trade show floor, the more likely it is you’ll be more memorable and your trade show will have been a success.